Imtiaz Ali directs Alia Bhatt and Randeep Hooda in Highway. The movie is about a rich privileged daughter of an industrialist Veera played by Alia who gets caught up in a petrol pump robbery and becomes and a hostage as the escaping goons kidnap her and flee as her hapless fiancé looks on and does the “told-you-so” dance! 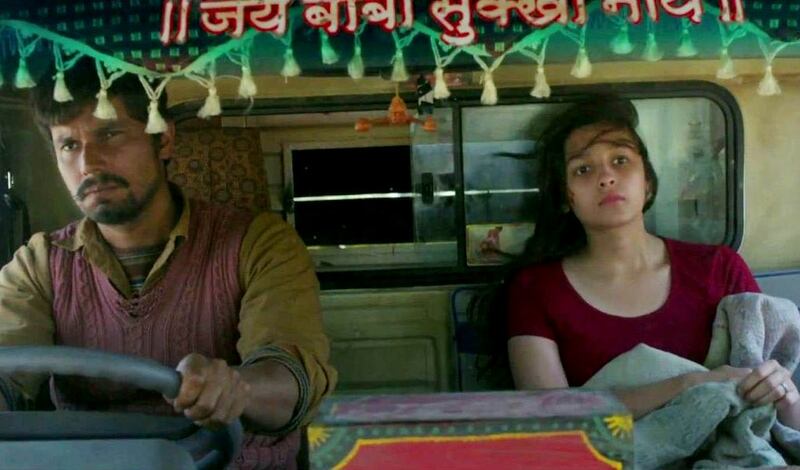 Having loved Imtiaz’s Jab We Met, missed Love AajKal and having been extremely disappointed by the highly anticipated Rockstar my apprehensions were pretty high with this Stockholm syndrome movie with the relatively unproven Alia Bhatt. All the trademark Imtiaz hallmarks are there – the !ncredible India advert-worthy scenery, A R Rehman music, a perky pretty female lead with a propensity to continually communicate in monologues. While Imtiaz missed the mark with Rockstar, with Highway he delivers what is in my books as close to the bar he set with Jab We Met. Highway has heart and it wears it on its sleeve. Alia Bhatt who debuted with Student of the year last year was easily stereotyped as the porcelain princess with the entitled star-kid tag. With Highway she smashes that stereotype and comes into her own with a performance that will be making the serious filmmakers of Bollywood sit up and take notice. In scenes that would come off as tacky and highjinks she infuses genuine charm and warmth, her crazy monologues with her going back and forth questioning her sanity come off as endearing and delightful. Even in the high drama scenes she does not miss a beat and with the directing choices that Imtiaz makes with the absence of a background score and focusing solely on Bhatt she delivers what could possibly be the career defining role of her life. Watch out Parineeti there is a new star on the rise here. Randeep Hooda is almost lost in the rugged scenery as he allows for Veera’s insanity to continue unabashed and just is content with looking grim with the demons of his hard life constantly at battles with the genuinely nice-guy-at-heart sentiments. A R Rehman’s music is unobtrusive and almost unnecessary as for almost the entirety of the movie silence and the howling winds of the Himalayas provide the only symphony required. Anil Mehta experiments a little bit with hand-held camera and the results are not flattering and then he goes back to what he does best – capturing the beautiful vistas of Himachal Pradesh, Haryana, Punjab and Rajasthan. Make no mistake this is another love-letter to the beauty of India written by the hands of Imtiaz Ali. Ali also tackles two very sensitive subjects which are intrinsic to what drives the central characters and what demons lurk in the dark recesses of their psyche – kudos to him for executing these with the sensitivity that these subjects deserve. With a simple story told beautifully this is a must-watch movie. Alia Bhatt blossoms into a full-fledged actress with her full spectrum of emotions on display. Watch it for the climax where in the last 10-15 minutes Alia Bhatt delivers what is possibly one of the best pieces of dramatic acting I have seen from an actress this green. It is spine tingling, the prospect of the potential this lissome lass has and will deliver in her future endeavors. Watch this movie because Imtiaz is forgiven of the sins he committed with Rockstar and I can finally anticipate what comes out of his stables next. Just a side note – with Rockstar I remember walking into a theatre full to the brim on a Friday morning, but with highway the enthusiasm is clearly lacking with more than half the theatre remaining empty – I wish people would give this little gem of a movie a chance and encourage film makers to take the road less travelled . This entry was posted in movies, reviews and tagged A R Rehman, alia bhatt, child abuse, highway, himachal pradesh, himalayas, imtiaz ali, Incredible India, Kidnapping, randeep hooda, stockholm syndrome by ViralVora. Bookmark the permalink.